A Game of Thrones fan waiting for a new season knows nothing compared to the true lovers of the world game and their four year wait for another glorious FIFA World Cup Tournament spectacle. 2018’s cup is currently being held in Russia and our Aussie squad have managed to make the cut of the grouping stages. We have been thrown into Group C along with France, Denmark and Peru with each team in our group needing to play one another before moving forwards in the competition. Australia had a nail-biter against France over the weekend and managed to hold their own on the field against some of the world stage’s highest paid athletes. In many points during the game, the Australians looked the better side even, before a controversial penalty resulted in a goal conceded by the Australians around the middle of the match. Another penalty goal was then conceded by the French in what was the quickest return penalty goal in the Tournament’s history. Things were looking good at 1-1 for most of the second half before an unlucky lob shot connected with the goal’s top bar post shooting the ball into the ground right behind the goal line and the Australian Keeper’s feet resulting in France winning the match 2-1. Despite the loss, the Australian’s will be heading into their match against Denmark this week with added confidence in their abilities to keep up with some of the best in the tournament and we look forwards to what will be another incredible match. 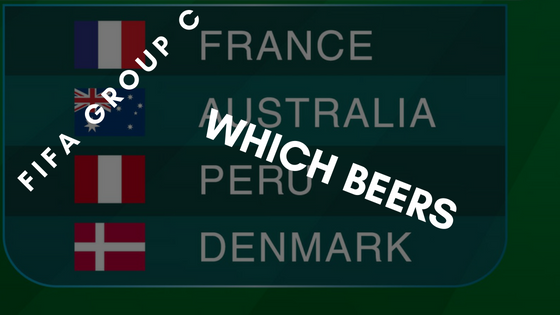 But what we really want to know is what beer to drink for each team the Aussies face during the rest of group stages. Give something new a go that’s unquestionably Aussie to keep on ice through all of Australia’s matches during the grouping stage. Furphy Refreshing Ale was originally brewed by Little Creatures over at their Geelong location. The beer was brewed using exclusively Victorian ingredients and aimed to be exclusively enjoyed by Victorians. Problem was, it was so good, Little Creatures had no real choice but to share it with the rest of Australia. But why’s this beer so damn Aussie? Well it get’s its name from a slang term we use to refer to an Aussie tall tale which originates back to World War 1 and the water carts which were sent from trench to trench to hydrate our ANZAC troops. The tanks were built by Furphy Engineering, an outfit that still operates just down the road from the brewery in Geelong today. As the tanks would travel from location to location, gossip and tall tales would also follow (Think Aussie prototype for water cooler chats). What better way to enjoy some good chat with your mates as you cheer on our boys in gold than with a beer made in the honour of good old ANZAC banter. So despite the game being already over for this one, you still might want to enjoy a beer to pay respects to our victors from over the weekend. If we had to suggest one it would probably be Kronenbourg 1664, one of France’s best selling beers internationally. This is a lager which is distinguished from the use of Strisselspalt hops known as the ‘caviar of hops’, which deliver a slow and satisfying taste factor. It’s a citrus-style lager that’s actually quite enjoyable. 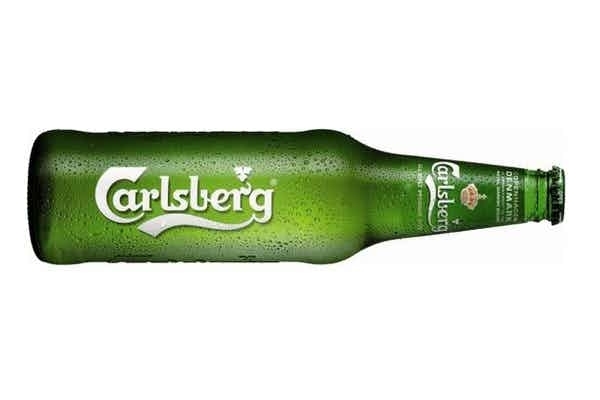 The choice was pretty obvious, Carlsberg’s a sporting heavyweight and goes down smooth with soccer if you ask us. Carlsberg’s malt packed premium beer is decadent yet light with a rich, full flavour. A first class tasting Lager but if you don’t like beer then grab some Summersby Ciders to get into the game's festivities (also owned by Carlsberg). Anyone that’s been backpacking through Peru would of definitely sunken a few of these bad boys in their time. Unquestionably the most well known Peruvian beer out there after developing a local reputation for its quality brewing ingredients and techniques for over 100 years. This is a bottle filtered super premo lager brewed in Cuzco, the seat of the ancient Incan empire. We think this beer’s special enough for a mention because its brewed with pure mountain water extracted at over 18,000 ft so there’s a little snowmelt from the Peruvian Andes in every swig. So what are you waiting for - come in and grab yourself some beers for this week's Australia matchup against the Danes.